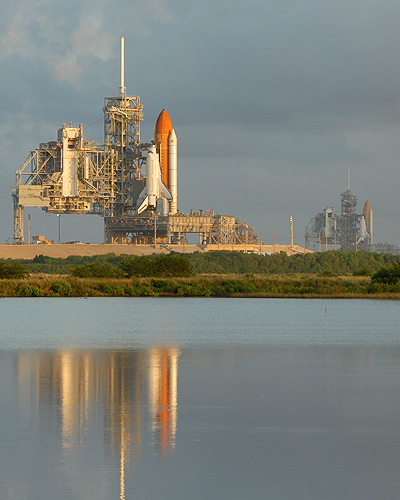 Shuttle Endeavour rolled out out to Launch Pad 39B on September 19, 2008, where it was to have served as the rescue shuttle for the STS-125/Atlantis Hubble mission in the event of an emergency. 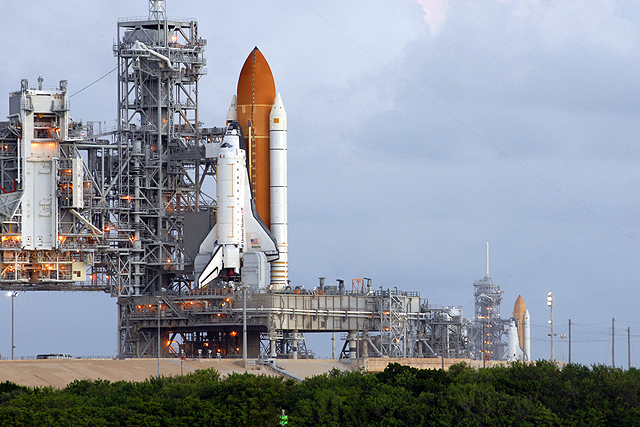 Designated as STS-400 until Atlantis returned to Earth safely, the plan was to roll Endeavour around to Pad 39A afterwards to undergo final preparations for STS-126 to the International Space Station. 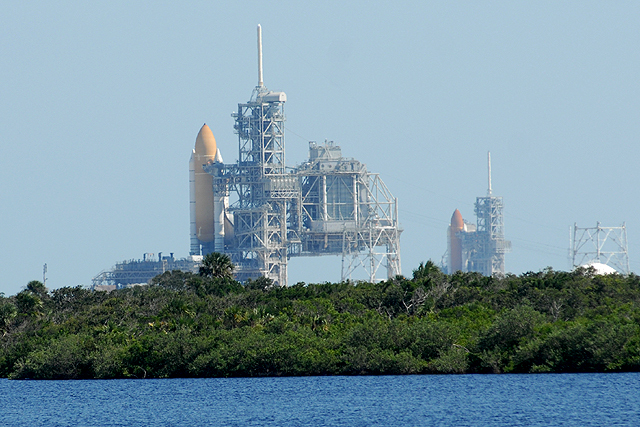 However, the STS-125 Hubble flight was postponed several months, and Endeavour is launching first. 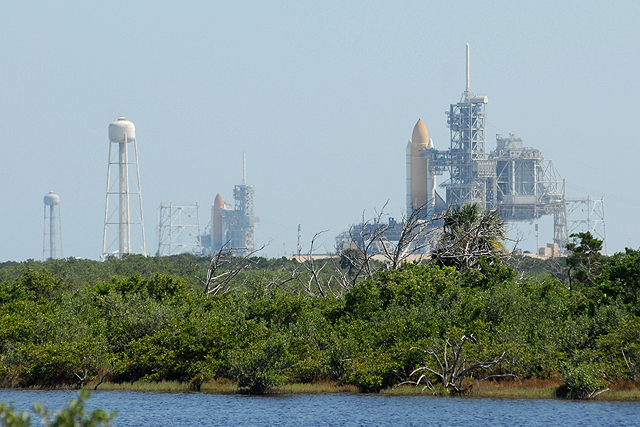 Once Atlantis is rolled back to the Vevhicle Assembly Building, Endeavour will move to Pad A for STS-126. 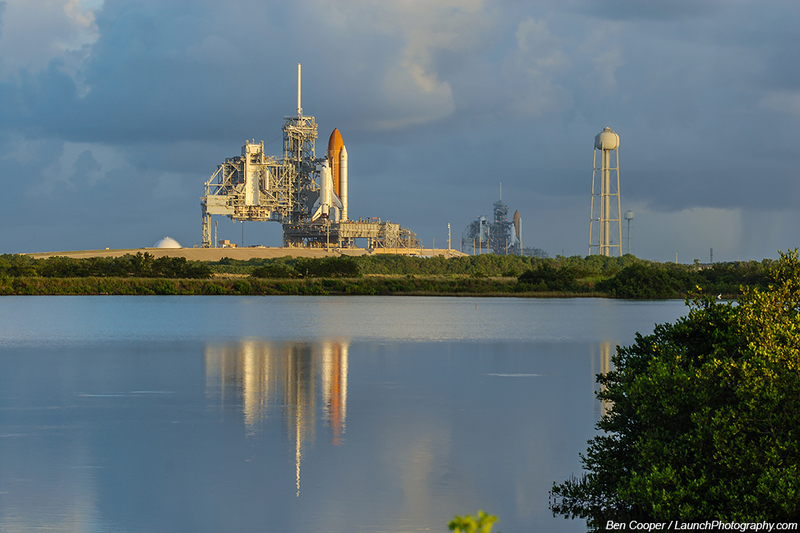 At the time both shuttles occupied the respective pads in late Sept-early Oct, it was the 18th and also was to be the final time in shuttle history that this happened at Kennedy Space Center. However, there will now be at least one more time this occurs, when the Hubble mission does launch in early 2009. Prior to this, the most recent instance was in July 2001, and the first back in 1985/86 with the first shuttle to launch from pad B. Of all those times, only twice before is it believed both had their Rotating Service Structures rolled back, making both orbiters visible.